How do you Plan for Vacation? New Year’s resolutions, they’re a funny concept, aren’t they? Some vow to focus on their health, or to start or break habits. Others maybe want to focus on self-growth or reading more books. Over at Visit Pensacola, we take our vacation days very seriously. 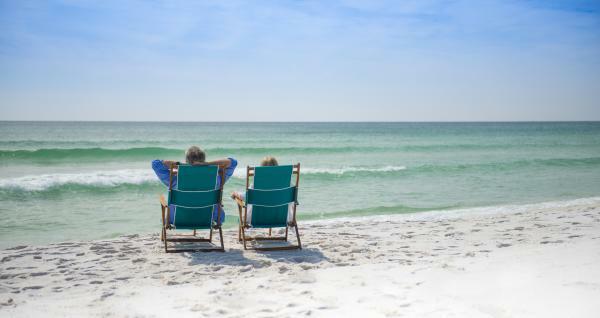 On average 662 million vacation days go unused every year! That’s a little ridiculous, don’t you think? People say vacation is important to them and that they want to travel and yet excuse after excuse seems to pop up. Work is busy, or they can’t find anyone to watch the dog, or maybe there just hasn’t been enough time to plan. STOP MAKING EXCUSES AND START MAKING PLANS! Work will always be busy, and fortunately for you, paw prints dot our beaches, red-brick sidewalks, and outdoor cafes. All that’s left to do is a little planning, and well, that’s why we’re here. This year, as part of our New Year’s resolution we want to help plan your vacation, right down to every last detail. We believe more than anything that your fear shouldn’t be based on missing days of work but on missing days of sunshine and adventure. Are the sound of waves lapping against the shore what your heart desires when planning your time off? Maybe a fruity drink with an umbrella by the pool sounds more like it. Heck, why not have both. Once you cross over the Santa Rosa Sound, you are officially on island time. 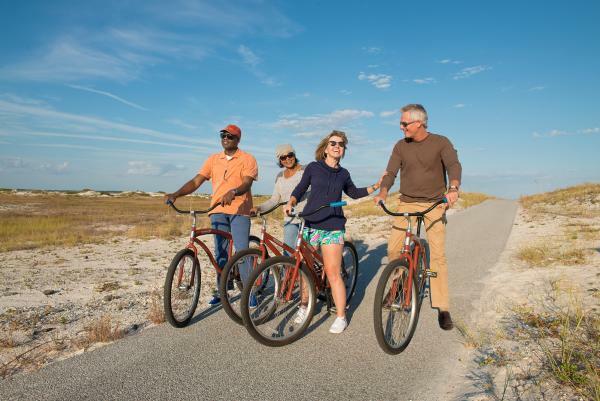 Ride bikes across the national seashore, take in a golden sunset, have a massage delivered to your room or the beach and take a deep, unwinding breath, ahhhhhh. 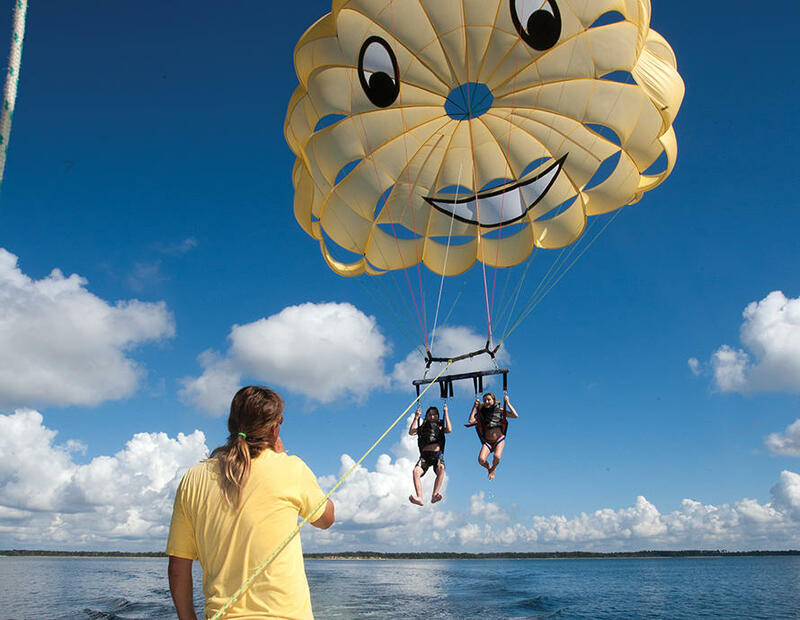 Soaring 400 feet in the air over the Santa Rosa Sounds, diving the “Mighty O” the world’s largest artificial barrier reef, or zooming 1,000 feet through the forest; If you want adrenaline, we’ve got it. If having your feet off the ground isn’t your ideal adventure, try something a little more grounded. The U.S. Navy Blue Angels, the world’s second oldest flight demonstration, call Pensacola home. In-season people watch them toss, turn and slice through the air at maximum G-force. It makes our heart stop when they do the head-on pass where they are what seems to be inches away from each other! Named USA Today’s 10Best Readers’ Choice 2018 Best Florida Attraction, the Gulf Islands National Seashore is the preeminent choice for scenic beauty. With sugar white sandscapes that stretch from Perdido Key to Fort Pickens and beyond, guests can enjoy the emerald green water, diverse wildlife and landscapes, architectural history and peaceful seclusion, but the views don’t stop there. Pensacola actually has a roadway named Scenic Highway and it was voted by Only In Your State as one of the Best Backroads For a Long Scenic Drive. Winding along Bay cliffs speckled with live oaks we think you’ll find it appropriate to put the top down for this one. Girls just want to have fun…. Saturdays are for the boys…. Sunday Funday…. Whatever your mantra we have something for you. Hop around several of the local breweries and catch a game with guys. Pensacola boasts sports year-round including minor-league baseball, hockey and college football. 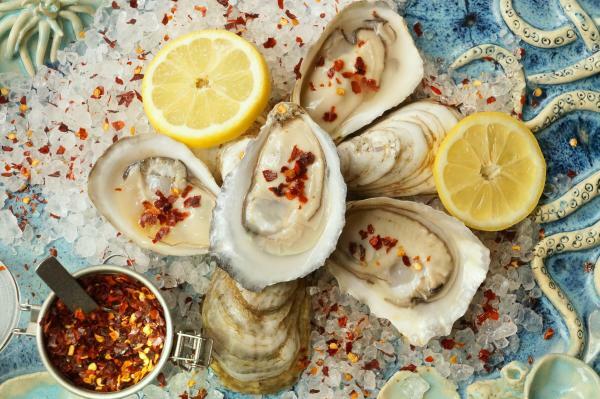 For the ladies, a stop inside one of the beautiful local boutiques in downtown Pensacola for a new outfit and bottomless mimosas are sure to make you giddy. Perhaps the family wants to marvel at America’s first settlement. A stroll through historic Pensacola or one of the many area war forts is just the icing on the cake for a perfect weekend in our little slice of paradise. However you vacation, we’re here to help. For more information on vacation to the Pensacola Bay Area, click here.